There are many ways to help support San Ramon Elementary School. You can help though donations, volunteering or, as you will read below, through everyday actions. Ideally, the San Ramon PTA would not to have to ask for money or organize fundraisers annually. Unfortunately, the reality is that we must fundraise in order to give our children the programs that the state no longer covers. Your donation is tax-deductible and will directly benefit the children of San Ramon. You can donate by picking up a form in the school office. Scrip cards are prepaid gift cards from local and national retailers. They are the same gift cards that you buy at stores. Many popular retailers participate including Safeway, Starbucks, Macys, The Gap, Target, Amazon, and many, many others. Harvest market and Matt & Jeffs also participate! Participating retailers agree to sell gift cards to our organization at a discount. San Ramon families buy the gift cards for full face value, redeem them for full face value, and our school keeps the discount. The beauty of scrip is that you put your regular household shopping dollars to work. You earn money for San Ramon without spending a single additional penny out of your pocket. Just spend your regular shopping dollars on scrip gift cards then use the scrip gift cards to do your shopping. It is that easy! eScrip is a way for businesses to donate electronically to San Ramon PTA whenever you shop at participating stores or restaurants. There is no cost to you! Last year San Ramon raised $4,000 through eScrip, primarily due to families shopping at Safeway. If you are new to eScrip, please look for information in the Dolphin Splash about joining. If you are a current eScrip participant, please make sure all your cards and those of your family and friends are current and list San Ramon as a school of choice. eScrip on-line mall Bookmark the eScrip on-line mall and check to see how many of your favorite on-line retailers will donate back to your school, just by shipping from the E-scrip site. Participating merchants include Lands End, Old Navy.com, Macys and Sierra Trading Post. Go to the eScrip website’s registration page. Follow the on screen steps for registering your cards. 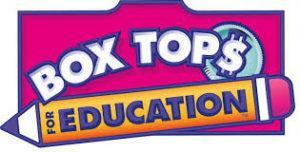 While you are shopping look for the BOX TOPS for education logo. Box Tops can be found on Pillsbury, Betty Crocker, General Mills products, Avery office supplies, Ziploc and Kleenex products and more. Clip the labels and bring them either to your child’s class or to the main office. Last year San Ramon made over $500 from Box Tops. Every time you use your Target Visa or Target Guest Card® at a Target store or target.com, Target will make a donation to the eligible K-12 school of your choice. 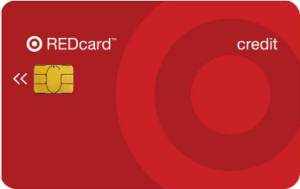 Register your card or ask about signing up when you are in Target. Pick up a Lucky Card in the San Ramon office and use it every time you shop at Lucky. School Fuel will receive 3% on all qualifying purchases. School Fuel is the local education foundation that supports all Novato public schools. We are grateful to School Fuel which funds our fantastic music teacher because the PTA is not allowed to pay salaries.